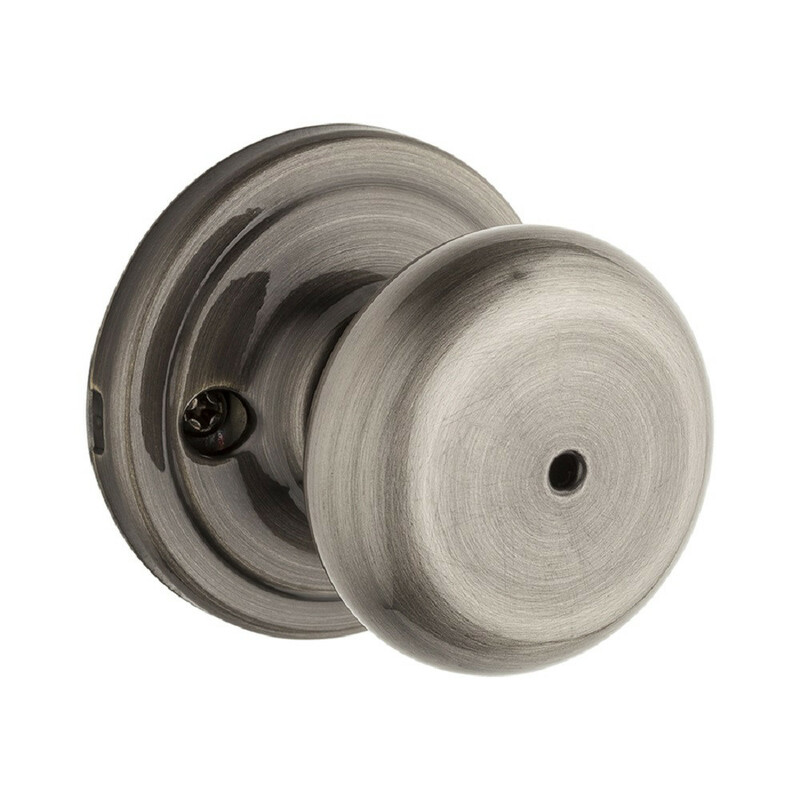 Privacy knob locksets ultramax security - hancock boxed round adjustable latch - round corner strike finish=antique nickel. For bedroom and bathroom doors. Both knobs locked or unlocked by turn-button inside. Outside knob unlocks by emergency key. 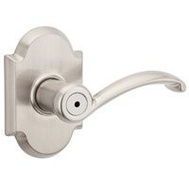 Door prep: 2-1/8 inch cross bore, 1 inch edge bore, 1 inch x 2-1/4 inch latch face. Backset: 2-3/8 inch - 2-3/4 inch adjustable. Door thickness: 1-3/4 inch doors standard. 2-1/4 inch doors optional. Faceplate: 1 inch x 2-1/4 inch. Strike: 2-1/4 inch full lip. Bolt: 1/2 inch throw. Nickel plated. Handing: Reversible for right or left hand doors. Ansi/bhma: Grade 2.